While most regular releases can be ripped or decrypted nowadays, 4K content remains a challenge to breach. Up until a few days ago, pirate sites had never seen a decrypted 4K download from Apple’s video platform. However, a flurry of recent leaks, including many titles from the iTunes-exclusive “James Bond Collection,” suggests that the flood gates are now open. It all started earlier this month ago when a pirated 4K copy of Aquaman surfaced online. The file is a so-called “Web” release, also known as WEB-DL in P2P circles. This means that it’s a decrypted copy of the original source file. These were never seen before for 4K releases. Because the Aquaman release was only available on iTunes in this quality at the time, the most likely conclusion was that Apple’s platform was the source. However, based on just one single leak, it was tricky to draw strong conclusions. The news quickly spread among pirate videophiles though, with some hoping that this would lead to the release of more exclusive titles. The iTunes exclusive James Bond 4K collection, for example. “Maybe we will be able to get the 007 catalogue off iTunes? In any way, exciting times!” a commenter on Reddit noted. This is exactly what happened. 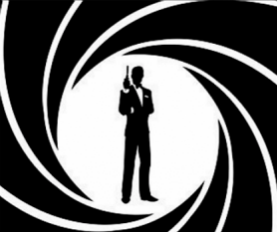 In less than a week, all 24 films from iTunes’ “James Bond Collection” surfaced online as 2160p WEB-DLs . It started with a copy of the latest Bond movie “Spectre”, all the way to the earliest titles, including “Dr. No” and “From Russia With Love”. The leaked movies originate from the DEFLATE release group and are marked as ‘INTERNAL’ releases. Some of the 007 releases. These 4K releases are exclusive to iTunes, which means that the release group likely has access to some kind of vulnerability or breach at the video platform and/or Apple TV hardware, which allows it to decrypt the videos’ source files. In theory, it’s also possible that there’s an ‘inside’ leak with access to unencrypted source files, but that seems less likely. The James Bond WEB-DL leaks are not the only iTunes-linked 4K titles that have appeared online either. We already mentioned Aquaman and Spider-Man: Into the Spider-Verse previously, and this week pirated 4K copies of Bumblebee and The Mule came out as well. Interestingly, DEFLATE also released 4K WEB-DL copies of the first two episodes of the new TV-series “Now Apocalypse.” This title, combined with the release timing, are linked to Starzplay via Amazon. Since this is just one title, it is harder to confirm the source with certainty. In the past, we have seen other 4K leaks from streaming platforms such as Netflix and Amazon, but these were WEBRips, which are captured and encoded, instead of directly downloaded from the source file. How the release group pulled this off remains a mystery for now. We contacted Apple to find out whether the company has any further details, but at the time of publication, we have yet to hear back.